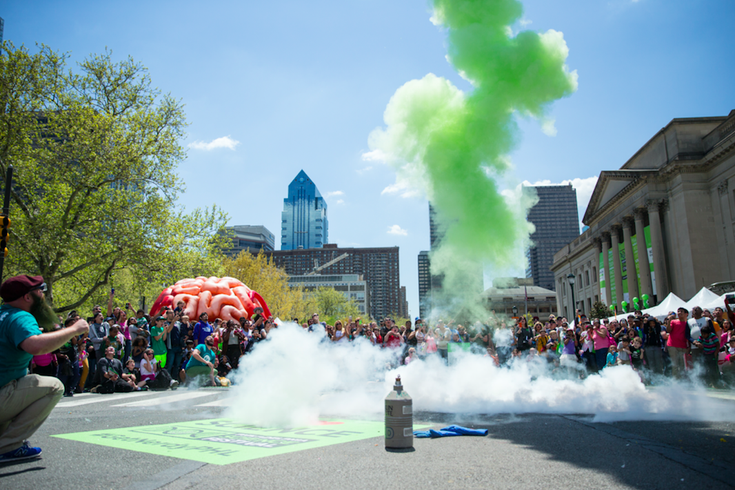 The Philadelphia Science Festival is a nine-day celebration with more than 60 events, including the science carnival that closes out the festival. The free carnival on the Benjamin Franklin Parkway, near the Franklin Institute, will take place Saturday, May 4, from 10 a.m. to 4 p.m.
At the six-hour party, attendees can check out hands-on experiments, live science shows and a trash can explosion, as well as 150 exhibitors. Other highlights of the festival include the Citywide Star Party on April 26, Science in the Park on April 27 and Be A Scientist! and the Fishtown Science Crawl on April 28. To see everything that's happening each day, check out the festival's website. The majority of events are free and don't require registration, but make sure to check before showing up.